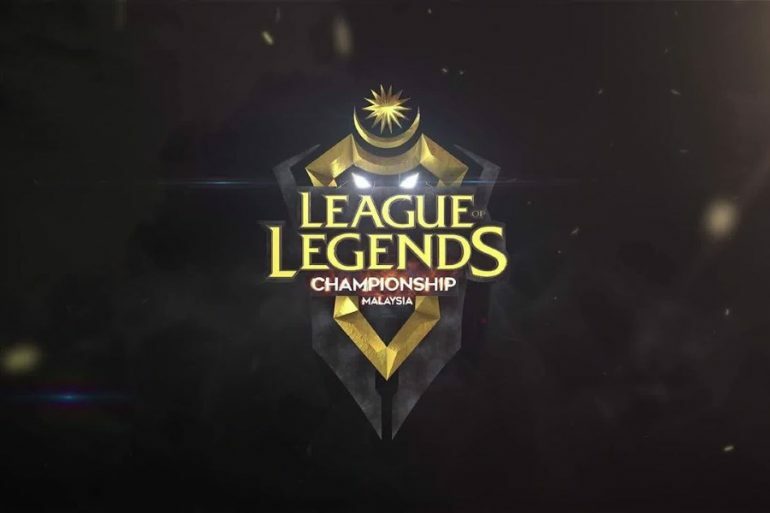 League of Legends fans should already head of this but for those who missed the news, the League of Legends Championship Malaysia (LCM) Grand Finals will be taking place all weekend long in Kuala Lumpur. It is the finale of the LCM Spring 2018 season which involved eight of the country’s top professional LoL teams. Out of these eight teams, only three made it through to the finale weekend including Geek Fam LoL, Fire Dragoon LoL, and Kuala Lumpur Hunters. The event itself is taking place right at the heart of the nation’s capital in the Quill City Mall as we speak. Given the occasion, one can expect to see plenty of actions from the three teams. However, there are additional rewards for those who prefer to check out the action up close at Quill City Mall itself including early birds’ goodies which consisted of LCM t-shirt, in-game skins, and Emote badges. 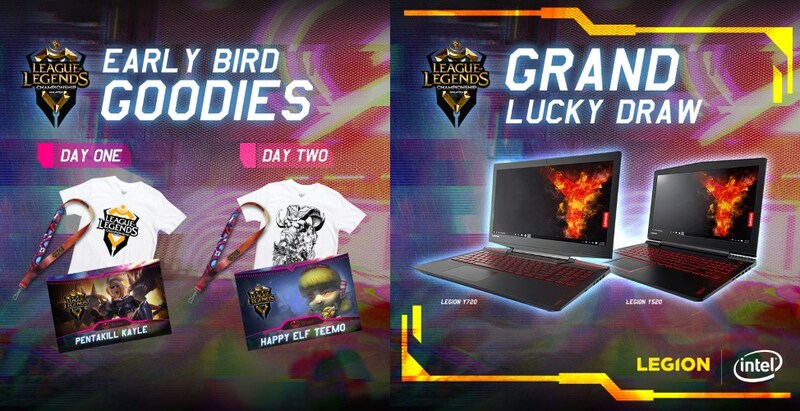 Also up of grabs are several units of Lenovo Legion gaming laptops and Logitech G gaming peripherals as part of lucky draw that is going to take place throughout the weekend. Not to forget, the LCM Grand Finals will be closing off with a massive balloon drop. 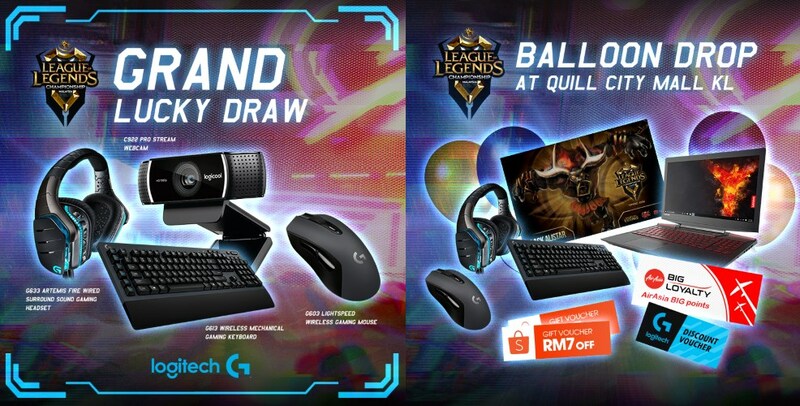 The drop will be another opportunity for everyone that get their hands on a free Lenovo Legion gaming laptop and Logitech G gaming peripherals as well as in-game skin code, AirAsia BIG points, Shopee gift vouchers and Logitech G discount vouchers. For those who can’t made it to Quill City Mall, they are able to catch the event online through TV9’s Facebook page or Garena’s LoL eSports YouTube channel. Alternatively, the Grand Finals of the event will be shown on TV9 itself from 5 to 8pm tomorrow.